What is Royal Prerogative of Mercy (RPM)? 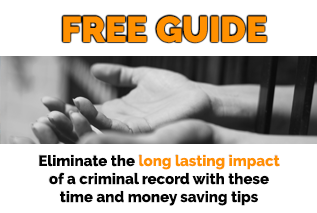 You can apply to have your criminal record kept separate and apart from other criminal records prior to Pardon Eligibility (now called Record Suspension) using an application process called Royal Prerogative of Mercy. 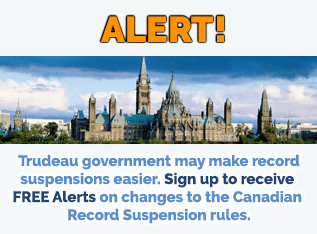 Record Suspensions are granted by the Parole Board of Canada. Royal Prerogative of Mercy is granted by the Governor General or the Federal Cabinet (the Harper Government at the time of the writing of this blog). Early Record Suspension (granted with an Application for Royal Prerogative of Mercy) is the ability to have your record set aside before you are eligible. Very few RPM applications are ever approved. An emergency Record Suspension (currently not available) is the ability to have your application processed faster than usual, provided you are now eligible to apply. However, the Parole Board of Canada does not accept requests for emergency at this time. But, what happens if the law changes and what you were convicted of is no longer considered a criminal act? Keep reading and you’ll find out. Why do people ask to apply for Royal Prerogative of Mercy? Their criminal record is interfering with employment opportunities. Their criminal record is preventing them from returning to Canada (ie. deported immigrants who want to be able to return to Canada). Their eligibility has been delayed due to non-payment of fines, restitution, compensation or victim fine surcharge (ie. they did not pay it, missed part of it, forgot about it, or the amount is so large that it will take a long time to pay). Unfortunately, it is the view of the Parole Board of Canada that a Royal Prerogative of Mercy is not intended to help you overcome discrimination that you would ordinarily expect to have as a result of having a criminal record. In other words, if the discrimination you face is the same kind others in your position ordinarily face, it is unlikely your Application for Royal Prerogative of Mercy will be approved. the RPM decision shall not increase the penalty for the applicant. NOTE: A the end of 2010, 51 active cases were still pending. Most applications are discontinued because applicants abandon their application by not providing requested information or because they were advised by the Minister they did not meet the criteria to apply (I interpret this to also mean no attempt to challenge the opinion of the Minister was made in these cases). The Harper Government opposed and subsequently ended the Wheat Board’s monopoly. In recognition that the monopoly was unjust, the Harper Government pardoned the farmers. It was only because of the injustice (ie. unfair monopoly) that the farmers were convicted. As a result, it makes sense that their pardon was automatic. Normally, when someone wants to be pardoned for a past crime they have to apply to the Parole Board of Canada. But on rare occasions, the government can exercise what Prime Minister Stephen Harper referred to this week as an “ancient power”: the Royal Prerogative of Mercy. That’s exactly what it did in suspending the records of a group of farmers convicted years ago of taking their grain across the border to sell in the United States against the law. Critics say the move politicizes the pardon process and worry that this sort of discretionary power could be open to abuse. After Wednesday’s announcement, interim Liberal Leader Bob Rae tweeted that the granting of pardons is not supposed to be partisan. “They’re corrupting the process,” he wrote. The pardons were issued clearly for “symbolic purposes” as part of the government’s campaign against the Canadian Wheat Board, NDP critic Randall Garrison said in an interview. The pardon announcement coincided with federal legislation coming into effect that eliminates the wheat board’s decades-long monopoly on western wheat and barley sales. But Harper spokesman Andrew MacDougall said the pardons were the “just” thing to do. “The Liberals have always supported jailing farmers who resisted the old and unjust Wheat Board monopoly, so it’s no surprise they don’t approve of doing the decent and just thing now that the Wheat Board monopoly has been abolished,” he said in an email. Jim Chatenay, one of the pardoned farmers, acknowledged Thursday that he had not sought out a pardon for himself; the government approached him. But when he got the call a few days ago from the prime minister’s staff, he said he felt as if a “black cloud” had been lifted away. “I had a piece of toast yesterday. It tasted pretty sweet without honey or jam on it,” said Chatenay, who served 23 days of a 64-day sentence in 2002. Normally, in order for someone to have his or her criminal record suspended, that person has to apply to the parole board, meet a set of conditions and pay a fee. But government officials said Thursday that, in rare cases, the government can initiate a pardon through royal prerogative. The pardon is granted by the Governor General on advice of the public safety minister. According to the Parole Board of Canada website, royal prerogative is typically exercised in cases where the government recognizes that an individual was convicted in error — this form of clemency is known as a “free pardon” — or in cases where the government wishes to seal and set aside the criminal record of a person prior to pardon eligibility — this is known as a “conditional” pardon. The government has used royal prerogative to grant 17 free pardons since 1959 and 179 conditional pardons since 1981, officials said. 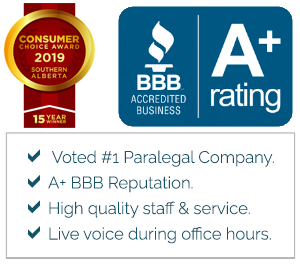 If you would like to discuss your case to determine if you would be a good candidate for Mercy of Prerogative, please contact us.